General Landscape Uses: Accent epiphyte; on live oaks along forest edges. 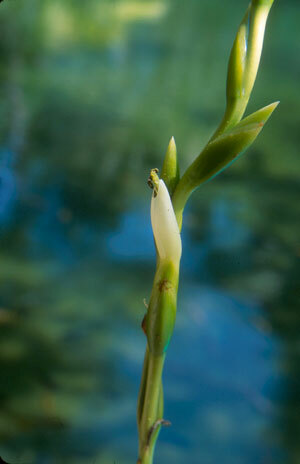 Ecological Restoration Notes: A relatively common epiphyte in hammocks and swamps. Description: Epiphytic herb; or terrestrial growing in leaf litter. Dimensions: 12-30 inches in height; 6 feet or more in flower. Range: Monroe County Keys north to Flagler, Putnam, Lake and Citrus counties; West Indies, Mexico, Central America and northern South America. 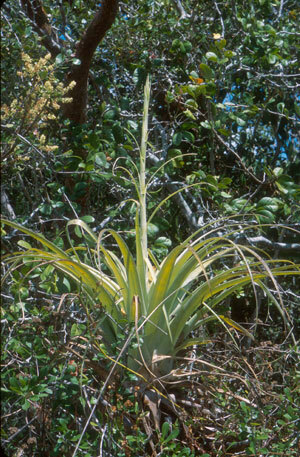 Soils: Epiphytic; or terrestrial in moist, well-drained humusy leaf litter, acid to neutral pH. Horticultural Notes: Can be grown from seed. This is a monocarpic species, which dies after flowering.